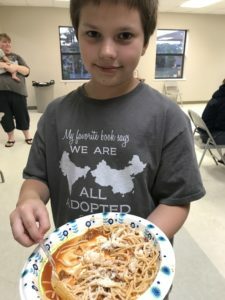 On August 11, 2017, the Burke family hosted a Spaghetti Dinner Fundraiser and Silent Auction in support of their adoption journey. The Burke’s were praying for $820, the amount needed to cover the remaining agency and international fees in their adoption process. As we know, our God is able to do exceedingly and abundantly more than we could ever expect or imagine, and HE did! 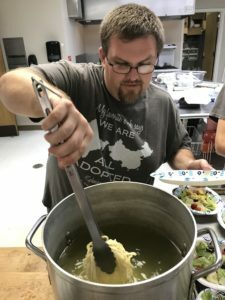 $1,450 was raised through the spaghetti dinner and silent auction! God also provided for all incidental miscellaneous fees to bring Hosanna home! Their only remaining expenses is for travel costs to and from India. God is so faithful! 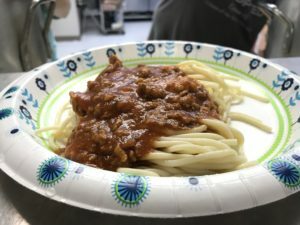 Thank you to all who contributed to the spaghetti dinner through donations of food items needed to keep initial costs low, to everyone who donated items for the silent auction, and all who came to enjoy a meal together. Seeing fellow believers come together to love the Burke Family during their adoption process, in various ways, is beautiful! 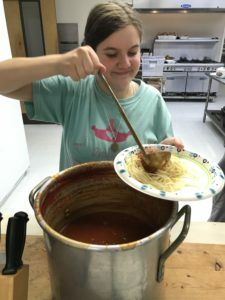 In addition to the spaghetti dinner, a lot has happened since the last Burke adoption update in July! The Burke’s got more information on the little girl in Bihar, India that they are matched with for adoption. She is three and has moderately severe hearing loss and significant speech delays as a result. The Burke’s have been told by people who recently adopted from there that her orphanage is overcrowded, infested with parasites, and third-world conditions. She will be renamed Hosanna once she is officially adopted. Hosanna came into care in an orphanage in India when she was 22 months old. Other than severe hearing loss, Hosanna is a typically developing little girl who loves to play and run. She will fit in nicely with the Burke’s active family. When she gets home with her family in America, we will have her evaluated by hearing experts at UAB and Children’s to see if she is a candidate for bone anchored hearing aids or a cochlear implant. Until then, the Burke family will be learning sign language as a way to communicate with their newest little one. They will learn it first, and then they will teach it to her. Her current caretakers do not know any sign language. She has been isolated in silence with no good means of communication for three years. The Burke’s will change that by using and teaching her sign language right from the first moment. Nothing is known about the first 22 months of Hosanna’s life. Although, experts in the field have a theory that she was abandoned at that age because of her hearing loss and because she was nonverbal. Which is, quite frankly, appalling to those of us who believe that all life is precious. But in her country, that’s not the belief system. And, in a way, if that theory is true, it can also be a very good thing, because it means that she had loving and nurturing care from a bonded family for a crucial formative time period of her early life. Her parents may not have had the financial means to care for a deaf child. What drew Brandon and Eleanna to the file of this particular little girl was a section of her medical report in which the doctor wrote the description of her emotional responses as: joy. This one single word, and Eleanna’s heart knew. They hadn’t even seen her picture yet! Travel is the big question! “When will they get her?” The timeline for the last stages of adoption in India after referral can be anywhere from 6-12 months. The adoption agency has told them that the average is 9 months and that is what they should expect. During those months they will go through the court system in India to have her declared legally their daughter. Brandon and Eleanna Burke will have to fly over to India for a court appearance. They will come back home for about 6-8 weeks for more paperwork steps to be done, and then the whole Burke family will fly to India to get Hosanna and have the whole family finally together! All of the Burke’s agency fees and international fees paid. 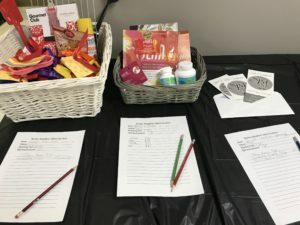 The funds for all of the paperwork and miscellaneous fees, such as applications for her birth certificate, courier for paperwork, immigration filing fees, etc are all ready to go. They will be able to pay each of those fees as they occur. After that, the only remaining expense will be travel expenses! The Lord has provided a huge influx of provision in the last two weeks. The Burke family has been awarded the Show Hope grant for adopting families. This will help with the travel expenses. They have also had an anonymous donor give generously to cover Brandon and Eleanna’s flights and travel expenses for the court appearance trip. The Lord has used this time of fundraising to teach Eleanna as the scripture says, “It’s not by might, nor by power, but by my Spirit,” says the Lord.” – Zechariah 4:6. He is providing all the financial need; the Burke’s are even ahead of fundraising schedule, with only 5K left to raise. May God be praised and glorified for his goodness toward this family.